When I was young I used to love my ballet lessons. It was a discipline I learned and studied up until the age of 16 and I honestly believe the effects it had on my posture and shape have lasted till today. No wonder then that ballet is undergoing a sort of renaissance, particularly among older dancers and barre work-outs are springing up all over the country. Many people are realising the benefits of dance for children are far more than just being able to move beautifully to music. 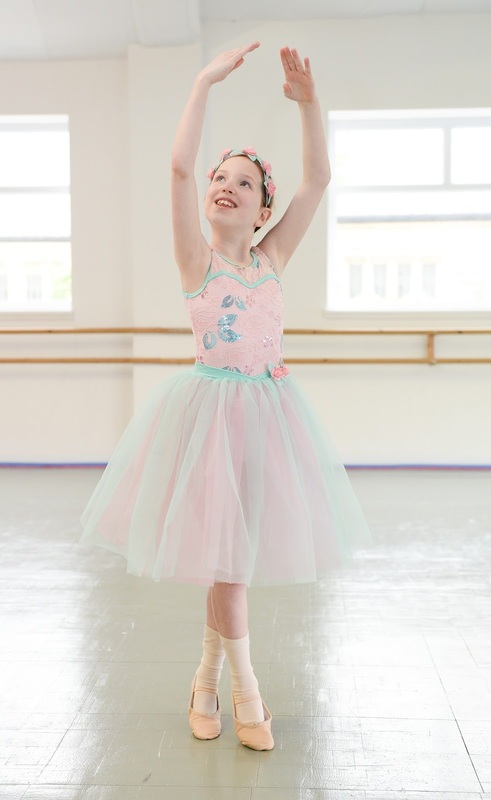 Caitlin is currently studying for her Grade 3 Royal Academy of Dance and adores her ballet, not least because she has a kind and patient teacher, Mrs Nicola Peros, who really wills her pupils to succeed. There’s no doubt that girls love the dance-wear, the ribbons, the shoes and the tutus but leading dancewear provider, Dancewear Central has uncovered that there’s so much more to dance classes than meets the eye! On the surface, all parents may see is writing endless cheques, taxiing to and from lessons several times a week, buying shoes and leotards, and sewing costumes. But the reality is that children get so much more from attending dance lessons than the technical skills, so parents are getting far more value for money than they initially think! With this in mind, Dancewear Central spoke to dance experts across the country to discover the biggest benefits of dancing, and why there’s more to classes than meets the eye. Dancers, both professional and amateur, constantly have to wait their turn, whether they’re moving across a stage, free-styling or demonstrating an individual move. Knowing when it’s your turn to move and then to be still and quiet while another has their go is a skill we use long into adulthood. As children learn to dance, hone their technique and take a performance from start to finish, their confidence grows. Add that to gaining a better sense of their bodies and feeling more comfortable in their own skin, and their self-esteem will skyrocket. They’ll learn how to express themselves, which is really what dancing is all about, and it’s what separates it from other physical activities. It gives kids a physical outlet for their emotions, a place to be themselves, and they’re encouraged to be proud of that. Says Nicola Peros, principal at Nicola Peros Ballet “The first thing that children experience when they start ballet is bravery. They aren’t always with friends and they don’t know the teacher. They learn discipline, they are guided and encouraged to learn the steps which give them skills and confidence. They gain a sense of self-confidence and pride in their bodies and what they can accomplish. “They learn how to be friends with people who aren’t the same as them. Our classes are mixed gender. Some have a range of ages, and some dancers have learning disabilities. The children discover how community is a gorgeous thing and how role models can be found in unexpected places. Giving children the confidence and encouragement to move while they’re young will give them a taste for physical activity that they carry with them into later life. Whether they become a professional dancer or not, they might continue with amateur classes as an adult or migrate to a completely different sport – it doesn’t matter as long as they move. I would heartily recommend ballet as a discipline for kids. In an age where technology is seeming taking over, it’s great to find something which creates health, discipline and an appreciation for music – without the use of an iPad and, in my experience, the skills you learn are with you forever. Further information about the Nicola Peros Ballet School which serves Cardiff and Barry is available at www.nicolaperosballet.com. For a great selection of dancewear go to www.dancewearcentral.co.uk. "Win Football Artwork T-Shirts For Dad & Child From Art of Football"